Tokyo Olympic organisers on Friday (Jul 20) unveiled ticket prices for the 2020 Games ranging from 2020 yen (US$18) up to US$2,760, largely in line with prices at the London Olympics in 2012. More than half the tickets on sale will cost less than 8,000 yen (US$71), according to the organisers. Tickets for the opening ceremony are priced between 12,000 yen (US$110) and 300,000 yen (US$2,670), but sporting events will be much cheaper. For those, tickets will start at the symbolic price point of 2,020 yen, but only for group sales, with the cheapest individual tickets on sale for 2,500 yen or just over US$22. While fluctuating exchange rates make comparisons with previous Olympic ticket prices complicated, the Tokyo prices are roughly in line with those for the London Olympics, but more expensive than in Rio in 2016. There, the best seats at the opening ceremony cost 4,600 reais or US$1,200 at today's exchange rate. In London, the top category opening ceremony tickets cost £2012 or US$2,616 at today's exchange rate. The most expensive sports event at Tokyo 2020 will be track and field, with tickets ranging from 3,000 yen to 130,000 yen. But fans of the marathon, softball, hockey and other events will be able to score tickets starting from just 2,500 yen. The organisers said in a press release that they created 2,020 yen tickets for groups, so that "families and groups with children, older people and handicapped people can come to the events" together. Tickets will go on sale in Japan from spring next year, with a precise date not yet set, and Olympic enthusiasts hoping to score seats will need to register online first at https://id.tokyo2020.jp. Timing for ticket sales overseas will vary depending on countries. 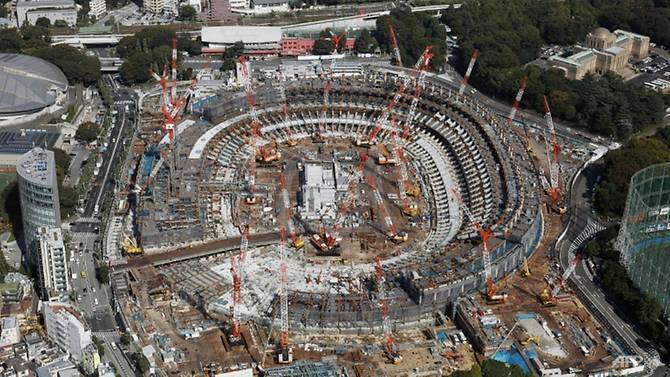 According to local media, the Tokyo 2020 committee is hoping to sell 7.8 million tickets, bringing in 77.3 billion yen.